There are millions of people in the country who are suffering from sleep apnea, a condition that results in the absence of breathing for periods of time during sleep and/or snoring. Many people are unaware they even suffer from sleep apnea, a disorder that can lead to dangerous health risks, including sudden cardiac arrest, hypertension, stroke, depression, and even death. Due to a lack of awareness about the disorder and treatment methods that some find uncomfortable or inconvenient, many people remain untreated. However, there are a variety of new and advanced treatments available from our San Diego dentists that can help you improve your quality of sleep and reduce risks to your health caused by sleep apnea. If you believe you or a loved one may be suffering from sleep apnea, please contact Coleman & Coleman Advanced Dentistry for more information. Sleep apnea is a dangerous condition that can usually be identified by snoring and/or choking or gasping for air during sleep. Since signs of the disease occur during sleep, many people may not realize they have sleep apnea until it has been identified by a loved one or diagnosed with a sleep study. Previously, a diagnosis would have to be made from a sleep study performed in a sleep lab. Fortunately, we can now test you in the comfort of your own bed with the watermark sleep study device and have a physician make the diagnosis. The snoring, choking, and gasping occur during sleep due to the soft tissues and muscles in the mouth obstructing the air passageways, leading to breathing pauses that can last 10 seconds or more. 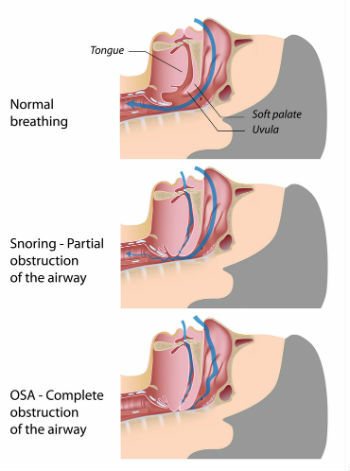 This is referred to as obstructive sleep apnea (OSA). People with OSA may stop breathing hundreds of times throughout the night, and the lack of oxygen to the brain during these cessations in breathing can lead to many other serious health risks. A common myth is that only patients who are obese can develop sleep apnea. While being overweight can contribute to or increase the effects of sleep apnea, anyone can be at risk for the disorder. Some people develop sleep apnea due to a large tongue, small lower jaw, or enlarged or over-relaxed soft tissues in the back of the mouth obstructing the airways. However, the only way to diagnose sleep apnea is through a sleep study which monitors and interprets sleeping patterns. The most common form of treatment is the CPAP machine (Continuous Positive Airway Pressure). The problem is the CPAP can be uncomfortable, inconvenient, and intrusive, so many patients are non-compliant with this treatment method. Another suggested treatment method is surgery, but some sleep apnea patients may not be candidates for surgery. The good news is Dr. Coleman and Dr. John can provide an alternative sleep apnea treatment method that can be easier to use, more comfortable, and help you to enjoy a more pleasant sleep experience. Our preferred treatment method at our practice is the Blue Dorsal sleep appliance. 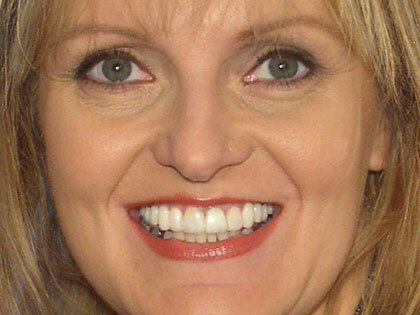 This is one of the most popular choices among dentists for snoring and OSA treatment. The Blue Dorsal sleep appliance is a custom-made oral appliance that looks and feels like an orthodontic retainer or mouthguard. It is designed to help the jaw to open and close naturally and prevent obstruction of the airways, allowing patients to breathe normally and reduce snoring or breathing pauses during sleep. This treatment method is often more comfortable and easier to use than the CPAP, and it is less invasive than surgical treatment. The Blue Dorsal sleep appliance should help sleep apnea patients obtain a more peaceful and healthier night’s sleep. If you are interested in finding out if you have sleep apnea and would like to receive treatment from our experienced dentists, the first step would be to schedule a consultation. Next, Drs. Coleman will have a sleep study conducted in the comfort of your own bed. 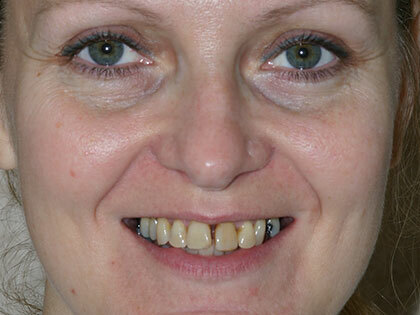 If it is determined you have sleep apnea, we will then discuss your treatment options. If you think you or a loved one may be suffering from sleep apnea, visit the link below for a quick and easy online assessment by Coleman Dentistry/DSM Solutions to determine if you are at risk for the disorder. Please note: This is just an online assessment. To determine if you have sleep apnea, a sleep study must be conducted for proper diagnosis. Please contact our office for more information, and Dr. Coleman and Dr. John will be happy to provide you with a free consultation and a free home sleep study. If you have any questions about sleep apnea, or if you are interested in scheduling a consultation, please contact us today.